I found a recipe for Korean Ginger Beef on Pinterest where the original recipe called for ground beef instead of full cuts of steak. 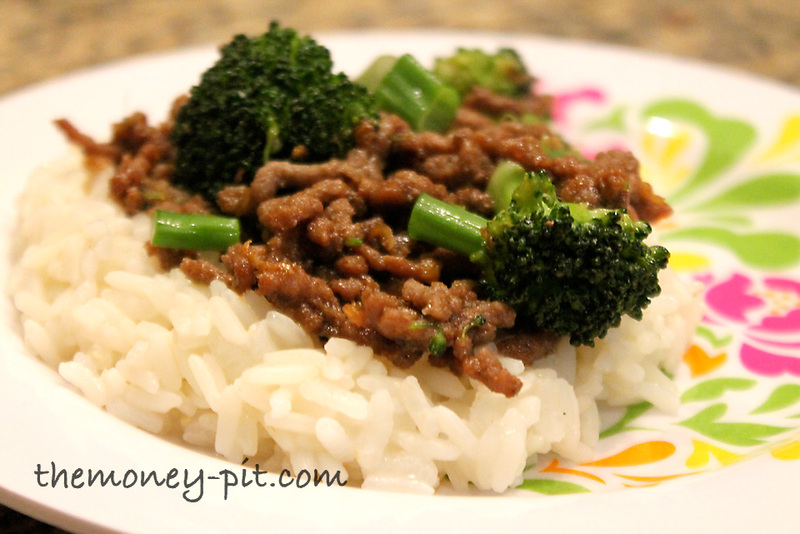 Since my freezer is always stocked with ground beef I knew I had to modify the recipe to make it a little more kid friendly so I could try it out. 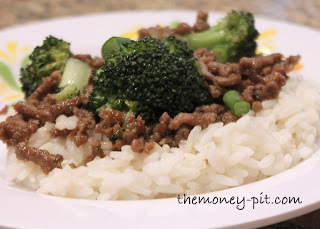 My kids LOVE beef with broccoli and hate anything spicy. Therefore I modified the recipe by removing the onions, adding broccoli and adjusting the amount of red pepper. You can always add those ingredients back if you want more heat. Brown the ground beef and garlic in a large saute pan while simultaneously steaming (or your preferred method of cooking) broccoli. 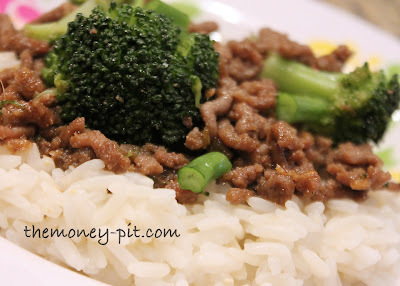 You want to pre-cook your broccoli since you won't be cooking it fully in the sauce. Drain the fat and add brown sugar, soy sauce, ginger and red pepper. One the sugar has dissolved completely, add the broccoli to the pan and toss to coat. Allow the mixture to cook a few minutes to combine the flavors. Adjust heat by adjusting red pepper, salt and pepper to taste. Immediately serve over rice. My kids cleaned their plates, and it was super easy! It is definitely going to become one of my new go-to meals.